CARFAX 1-Owner, LOW MILES - 8,738! WAS $51,995, PRICED TO MOVE $2,900 below Kelley Blue Book!, FUEL EFFICIENT 25 MPG Hwy/18 MPG City! Navigation, Heated Leather Seats, Sunroof, Premium Sound System, Power Liftgate, Alloy Wheels SEE MORE! Reduced from $51,995. 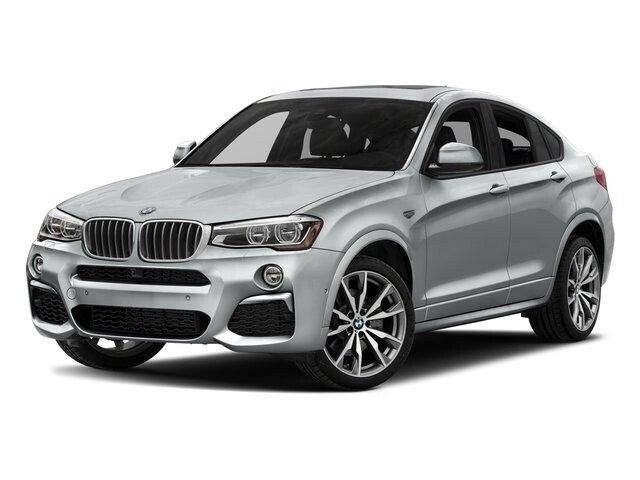 This X4 M40i is priced $2,900 below Kelley Blue Book. Approx. Original Base Sticker Price: $53,000*. Leather Seats, Sunroof, All Wheel Drive, Power Liftgate, Turbocharged, Premium Sound System, Satellite Radio, Aluminum Wheels, Keyless Start, Dual Zone A/C, Brake Actuated Limited Slip Differential, Hands-Free Liftgate, Heated Leather Seats. Keyless Entry, Remote Trunk Release, Privacy Glass, Steering Wheel Controls, Child Safety Locks. LIGHTING PACKAGE Automatic High Beams, Adaptive Full LED Headlights, DRIVING ASSISTANCE PACKAGE Speed Limit Info, Instrument Cluster w/Extended Contents, Head-Up Display, Active Driving Assistant, lane departure warning, forward collision warning, pedestrian warning and city collision mitigation, Active Blind Spot Detection, NAVIGATION SYSTEM Remote Services, Advanced Real-Time Traffic Information, PARKING ASSISTANCE PACKAGE Surround View, Parking Assistant, HEATED FRONT SEATS, WIRELESS CHARGING Enhanced USB & Bluetooth (ZEB), WiFi Hotspot, APPLE CARPLAY COMPATIBILITY. BMW M40i with Carbon Black Metallic exterior and Black Nevada Leather interior features a Straight 6 Cylinder Engine with 355 HP at 5800 RPM*. KBB.com's review says "Whether you choose the base model with its 2.0-liter turbocharged 4-cylinder Great Gas Mileage: 25 MPG Hwy.